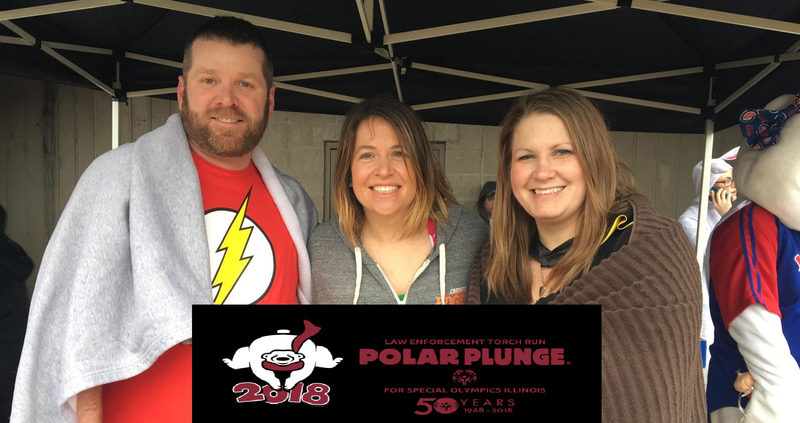 On Saturday, February 24, 20018, employees from the Ford County Special Education Cooperative participated in the Polar Plunge at Lake of the Woods in Mahomet, Illinois. The Polar Plunge is a fundraising event to support Special Olympics. Each year, the Polar Plunge challenges thousands of warm-hearted individuals at numerous locations across the state. It’s a great way for everyone – individuals, organizations and businesses – to support Special Olympics Illinois. All funds raised go to provide programming and events for more than 22,000 traditional athletes and 20,000 young athletes participating in Illinois. This year’s plunge in Mahomet was attended by over 260 participants and helped to raise over $29,000.00. Thanks for those who donated and came out to support the FCSEC team!